Out with the old, in with the new... but what about all those books read last year? 2011 marked a change in my reading habits, with less time to read I became very particular in selecting what books I would spend my time with. This picky reader thus finds herself with quite a few fabulous reads of 2011, and I am pretty sure that each and every book I read in 2011 was published in 2011 also (in the USA). There were some different genres that I tried as well, though most of my reads leaned toward historical fiction. I have read only 51.5 books in 2011, where in 2010 I was pushing 65. I put in the .5 there because I am still working on a short story anthology that I haven't had the urge to pick back up in awhile. Most recently, a second job for me takes away much of my reading time, unfortunately. When a book would usually take three or four days to finish, it now takes more than a week to finish, and sometimes even more. If this trend keeps up, 2012 will probably only boast 40-45 titles read. I have reviewed 43 titles of the 51 total books this year, and the rest of the reviews are ready to post in the coming months, as these are for the February issue of Historical Novels Review magazine. 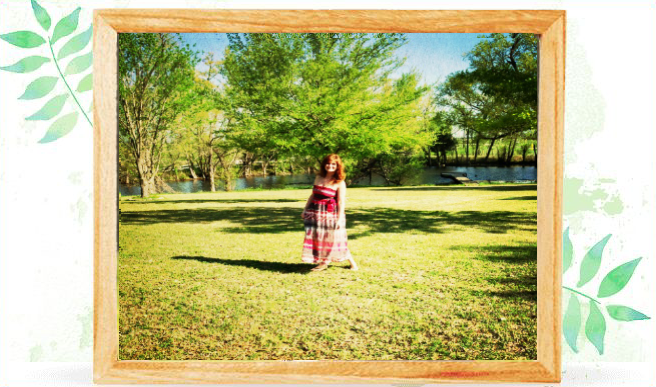 Those represent some of the different genres from Christian fiction to a bit of romance, as my tastes evolve and I become interested in other than just Tudor-esque, medieval and purely historical reads. 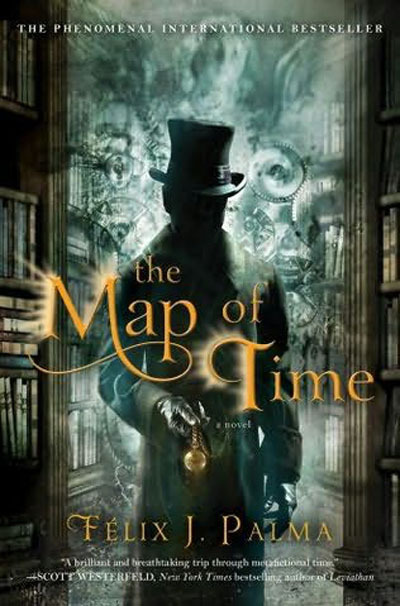 One that stands out for me is The Map of Time by Felix J. Palma because it was so genre bending and not quite the norm. I was spellbound by it.. but it may not be your cup of tea because of how unique it is. It is a mix of romance and fantasy and a bit of history-mystery as well, with a plethora of suspense. Heiress by Susan May Warren stands out as it was one of my first Christian historical reads in many years, as well as being my first review for Historical Novels Review. The author has quite a following and if you are interested in testing out the genre, Heiress would be a great start as it has a pleasant mix of history, romance and mystery that had me hooked on the genre and the author. 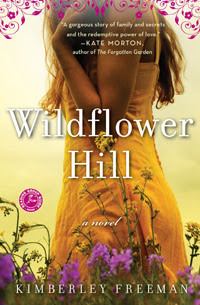 Wildflower Hill by Kimberley Freeman was another contemporary style read that I normally would not have read given the synopsis, but so glad that I did read it. The blurb was something about a ballerina down on her luck, but that was very understated for the whirlwind of emotions and bit of adventure and historical nuances it offered. It was a multi-generational story that had me from page one, I truly enjoyed this one and will probably re-read it. 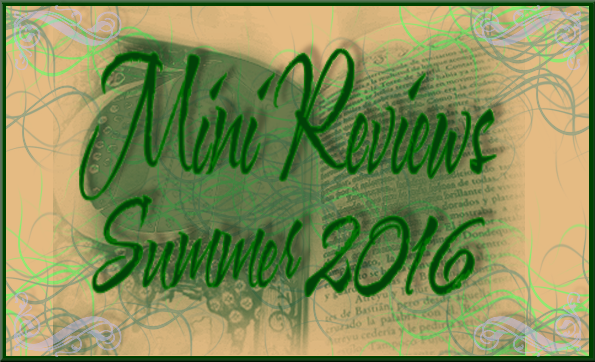 A surprising favorite for me was Finding Emilie by Laurel Corona. There was something about the story and the characters that really spoke to me and touched my heart. A completely fictional look at what the author imagines for Lili, a would-be daughter of scientist Emilie du Châtelet and Voltaire, which blends fact and fiction and science into a coming of age story for Lili. This was one of those reads that I could not put down for very long at all as it beckoned me from afar. A not so surprising favorite comes with Elizabeth I: A Novel by Margaret George, which was a fantastic look at the inner person of Elizabeth I during the last ten years of her reign. In earlier novels, we seem to fast forward through these years of the aged Elizabeth, and with this novel there were a few twists and supporting characters such as Lettice Knollys that kept me intrigued throughout. Margaret George is an author with a fabulous knack for creating a historical story that vividly comes to life through her writing. And of course it doesn't hurt that I got to meet Margaret just after reading this novel! Reign of Madness: A Novel of Juana of Castile by Lynn Cullen is a well written novel of Isabella and Ferdinand's daughter, Juana. Offering a new light onto Juana's plights and struggle with love and obsession Reign of Madness is a fabulous read to coincide with C.W. Gortner's previous The Last Queen (2009), and the upcoming Sister Queens (2012) non-fiction work by Julia Fox. 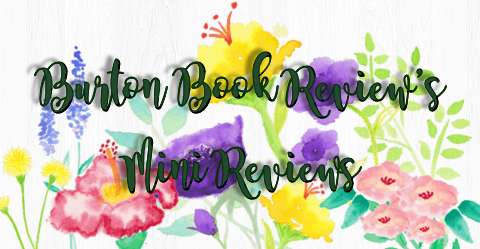 I would have to add that Lady of the English by Elizabeth Chadwick was another fantastic read, and it will probably be on many bloggers favorites list. Elizabeth Chadwick is one of my very favorite historical authors, and she has not disappointed me yet. Lady of the English focuses on an intriguing Medieval era, where Matilda is the heir to England but has to fight for it against her cousin Stephen who has usurped the throne. A fabulous storyline, with quite a few intriguing characters to make this novel a definite (and obvious!) favorite, without a doubt. Another historical favorite of 2011 was Before Versailles by Karleen Koen, which focused on a new era for me with France and a particular four months of Louis XIV's reign. The maid of honor Louise de La Baume carves a vivid storyline in herself with romance and suspense to complement the historical side of Louis' politics and his courtiers. This was my first Karleen Koen read, but will certainly not be my last. C.W. Gortner (and Elizabeth I!) makes my favorites list again with a new genre, with his The Tudor Secret: The Elizabeth I Spymaster Chronicles which features Brandon, a fictional character during the treacherous times between the reigns of Edward VI, Bloody Mary and finally Elizabeth I. Cecil, the well-known Spymaster, is so rarely looked at as a benevolent character such as he is here, and there are devious tones to other characters which made this fun and entertaining. I just wish we didn't have to wait so long for the rest of the series! 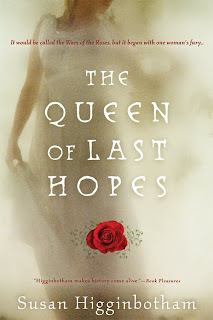 And last but not least, I had started off my delightful 2011 reading year with a fabulous novel, The Queen of Last Hopes by Susan Higginbotham which portrays Margaret of Anjou in a sympathetic light, as opposed to previous reads that have her live up to her 'She-Wolf' moniker. Queen Margaret was in a tumultuous position during the Wars of the Roses in England, as she was never accepted due to her French background. Her husband was a weak king, and Margaret had one goal in mind: set their son on the throne of England. The author tells her story in such an entertaining way that you cannot put it down for long, and we learn a little bit more of Margaret and the era in the process. In 2010, I was able to spot only 8 favorite reads of 65. This time around it was a bit harder to pick only ten. See any goodies here that you agree with? Any ones that you missed this year but must read in 2012? What were your faves this year? From my review list, is there something that you think I've missed that you would recommend for me to get to based on these favorites? (I have a gift card to burn, so let me know your faves!).. I do have a few from 2011 that are on my mountain range of to-be-read books, such as Catherine the Great by Massie, and Lionheart by Penman, which both may have made it to this favorites list if only I had found the time to get to them. I really had some fantastic winners with my 2011 reads, and I can only hope 2012 matches up. 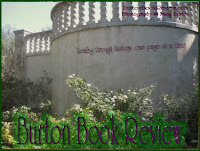 After three full years of book blogging (I just missed my own blogiversary), I loved watching how my reading tastes developed and how I was able to learn so much, specifically about England's medieval history. I've come a long way, but there is so much more to learn! I still haven't ventured out much past Elizabeth I! Here's to 2012, and more fabulous reads (clinks glasses with you!)! Review copy provided by the author, thank you! Having read all of the author's previous Secrets of the Tudor Court books, I had anticipated this installment since day one. I was disappointed with the publisher's choice to change the publication date from August to January (and disappointed with the cover change), but good things come to those who wait. 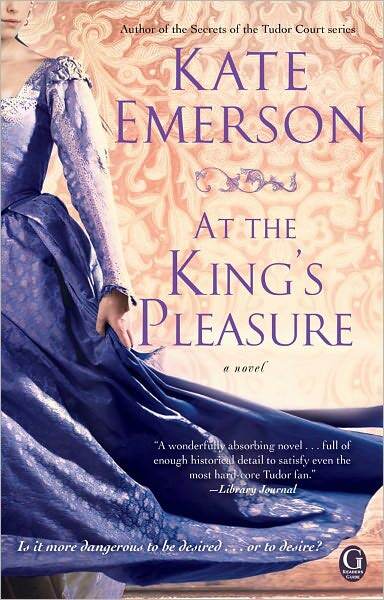 Emerson writes of the Tudor period with ease and eloquence, including many historical details but without over burdening the novel with facts. Although this Tudor series is focused during the popular reign of Henry VIII or his father, Emerson writes of the lesser known characters, and includes some fictional characters as well. This fourth installment, which can be read as a stand-alone, focuses on Lady Anne Stafford, daughter of Henry Stafford and Katherine Woodville, during the earlier days of Henry VIII's reign. 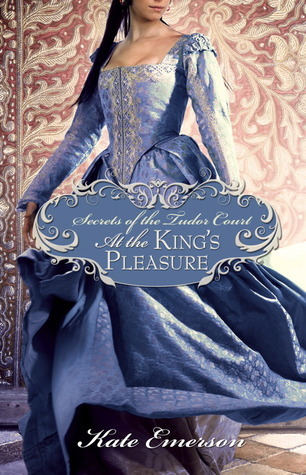 The story was less focused on the courts and the politics and read much more like Anne's personal story which was a refreshing change of pace for a Tudor novel. Making it even more enjoyable was the clarity the author gives to these lesser known figures of the Tudor era, which always sparks off even more of an obsessive interest in the Tudor courts. We are introduced to Anne as a young widow at her haughty brother Edward's disposal. Her other brother is temporarily in the Tower, so it is Edward who always pulls the strings of the Stafford family. Soon enough Lady Anne marries George Hastings, an amiable and likable young man. He isn't Will Compton, though, and Lady Anne has caught his eye as well as the young King Henry's. When Edward sees Compton with Anne, Edward hastily sends Anne away to a nunnery (telling her husband to bring her there) and Anne vows revenge: "And if she ever had the opportunity to pay him back in kind and soil his reputation as he'd soiled hers, she would seize upon it without hesitation." Anne has a time of it to attempt to rebuild her reputation, as behind the scenes the Cardinal enjoys taunting her with his power over the king and the court. Above all, she wishes for her husband George to realize the truth of the matter, yet she lets things spiral out of control. She does get a bit of revenge on her meddlesome brother, although she didn't expect it the way it played out. The character development of Lady Anne is well portrayed while Anne copes with the turmoils of her heart. The relationship with her brother Edward Stafford is much at the forefront, and his own realtionships with his mistress and wife play a part as well. Edward starts to believe he is destined to rule England someday, but it is because of a prophecy that he holds on to this dream. Those well-versed in history will know what becomes of Edward Stafford and his dreams..
Just in time for the holidays and all those E-Reader gifters! A Darcy for Everyone! Sourcebooks Celebrates Jane Austen’s Birthday! From Tuesday December 13th – Friday December 30th the following eBooks will be priced at $1.99 at all online e-tailers. Whether you like Darcy as a tortured vampire, a modern day rock star, a Texas rancher or anything and everything in between! There truly is a Darcy for everyone! And then hang on to your hats as there is another SPECIAL OFFER around the corner when Sourcebooks announces its most extensive eBook promotion to date! It all started when... First in Series eBooks for $1.99! For a limited time, purchase the first book from a Sourcebooks author for only $1.99. More than 65 exceptional books ranging from young adult to adult fiction, romance, and non-fiction.  Discover a great new author today! This promo will run from 12/21/2011 – 1/8/2012, mark your calendars. Browse the e-deals at Sourcebooks: http://www.sourcebooks.com/readers/browse-our-lists/ebook-specials.html & you can sign up there to be on the Email list as well.